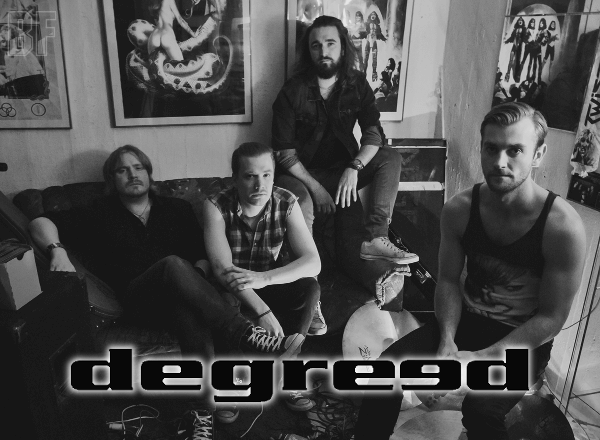 Swedish Rock band DEGREED will release their third album "Dead But Not Forgotten" on June 19th through SUN HILL PRODUCTION and now pre-order is available on iTunes. Since the band was formed in 2005 they have released two albums; "Life, Love, Loss" (2010) and "We Don’t Belong" (2013), and both were critically acclaimed worldwide by media. The second album Japan edition was also released here in Japan. We have featured the band on this website and a radio show. 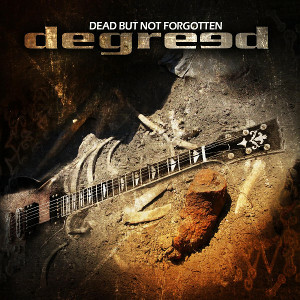 This time the album "Dead But Not Forgotten" is self-produced album, and was engineered, mixed and mastered by Mats (Drums). In 2014 the band was opening for Dan Reed Network on their Sweden tour, played Väsby Rock Festival and were invited as Special Guests to Machinae Supremacy's European tour in Poland, Czech Republic and Germany. See more band info HERE.